Forget about painted signage and seating charts - wedding chalkboard signs are the way to go when it comes to directing your guests. 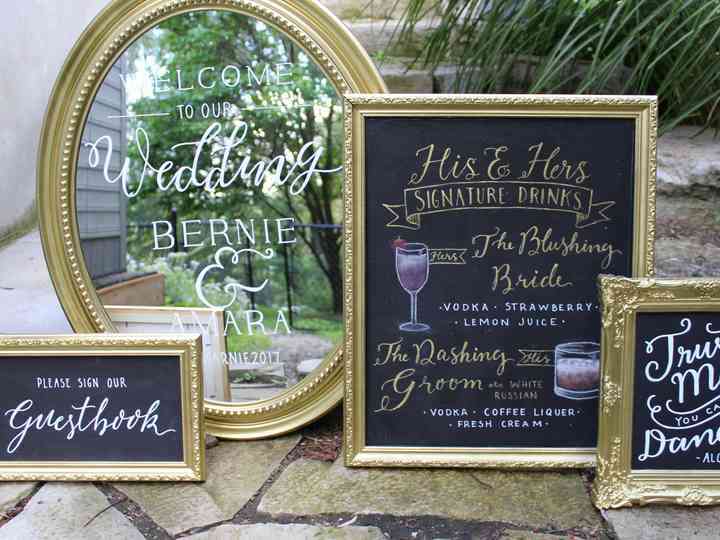 Wedding chalkboard signs are all the rage right now in the bridal world. While they probably suit shabby chic events best, they can be customized to fit just about any and every wedding theme (with the right font and frame, of course). If you’re looking for a few interesting ways to incorporate chalkboards into your big day, read on. Here are a few creative ways to use wedding chalkboard signs. Let your guests know that they’ve come to the right place by adding a welcome sign to the entrance of your venue. Ask a calligrapher (or a pal with impeccable handwriting) to do the honours of writing it out in chalk. There’s no such thing as too many signs at a wedding. 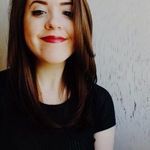 They’re total lifesavers when it come giving guests directions and letting them know what’s what (saving your mom and MOH from fielding a million questions before the ceremony even starts). Want to tell your guests where the washrooms are? Write it out in chalk. Need to tell them to put their phones away? Make it known with a wedding chalkboard sign like this one. Yes, your guests will probably be gifted with ceremony programs that’ll let them know the order of events, but adding the info to a wedding chalkboard sign will make it all clear as day. Let them in on when (and where) all the important events will be going down so that they don’t miss any memorable moments. Doing it in chalk will allow you to adjust the times if anything throws you off schedule. Wedding aisle markers typically come in the form of floral arrangements, but that's definitely not your only option. If you want to get a bit more creative with your ceremony decor, use wedding chalkboard signs at the end of each row of seats. You can write a unique message on each board on or have them read out a single phrase, prayer, lyric or quotation together. Your ring bearer's job is to get your wedding rings to you and your S.O. safe and sound, but the little guy can carry more than just jewellery! To make his look even more adorable ask him to wear or hold an adorable wedding chalkboard sign with a message like this one. The last thing that you want is for your guests to be running around aimlessly looking for their tables, so give them a little direction by displaying your seating chart on a giant chalkboard. It’s a super versatile option that can be customized down to its colour and composition. Bonus: it’s easy to edit if you need to make any last minute changes - all you’ll have to do is erase and rewrite! Level up your tablescapes by adding mini wedding chalkboard signs displaying their names or numbers. This is definitely more stylish than plain old paper and looks great next to just about any style of centerpiece. Your guests are going to want to know what’s for dinner and what’s being served at your bar, so displaying your wedding menu is a must. Writing it all out on a wedding chalkboard sign is an amazing option because it can be edited as the night goes on. For example, if you run out of one of your signature bevies, your bartender can simply erase it from the board (saving him from having to tell guests over and over again the the drink is unavailable). If you're in the market for an eye-catching wedding cake design, this is the style for you. Ask your baker to add a chalkboard tier to your cake (or make it one giant multi-tiered chalkboard) for a dessert that's totally unique. Pictured below: For the Love of Cake, at left; The Rolling Pin, at right. Planning on adding a photobooth to your reception space? Well, you’re going to need a killer backdrop. Sure, you could hang a few curtains and call it a day, but why not get a bit more creative? A chalkboard wall is 100% customizable, making it the perfect option - you can add a romantic quote, a line from your wedding vows, your names and wedding date or your favourite lovey song lyrics. If you want to make it even more special you can ask your guests to sign it, too!